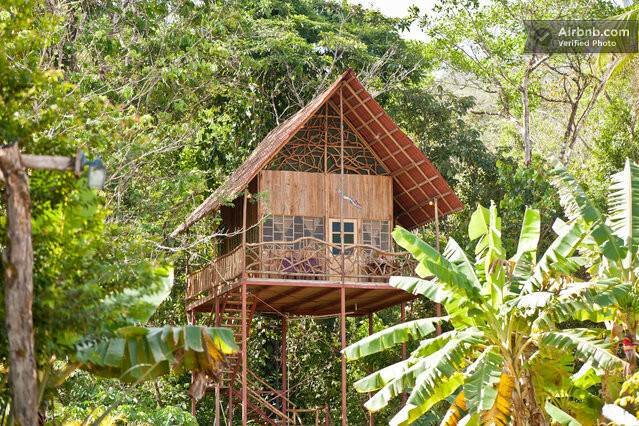 Do you guys know about Airbnb yet? I just discovered the site recently, when I was desperately looking for a place to stay in Paris, falling deep into a pit of despair in the face of the prices and the quality (and the relation between the two). Thank god I remembered reading about them, because I found tons of super cute apartments for rent, in the heart of the city, for the same price as a mediocre room in some out-of-the-way hotel. This is my first time renting a place through Airbnb, so I'll let you know how it works out, but so far, I'm over the moon with it. Plus, they have places all over the world. Plus, they have all kinds of non-traditional listings. 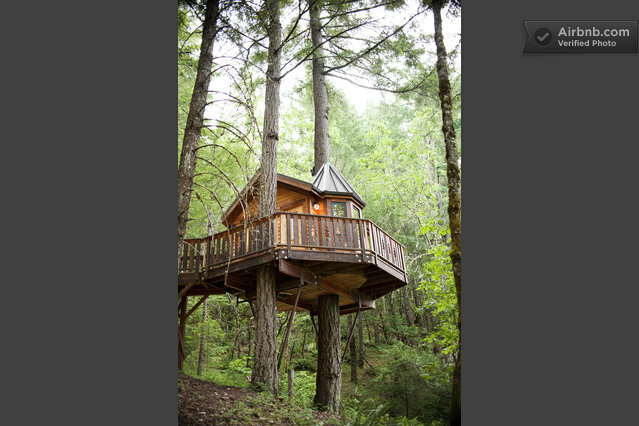 Like their super sweet curated list of treehouses. 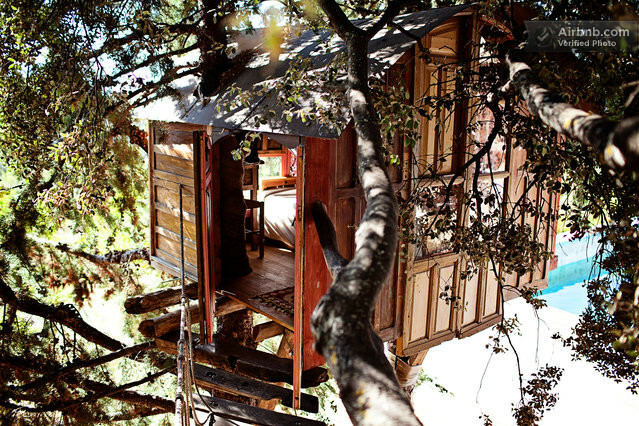 Wouldn't it be wonderful to stay in one? 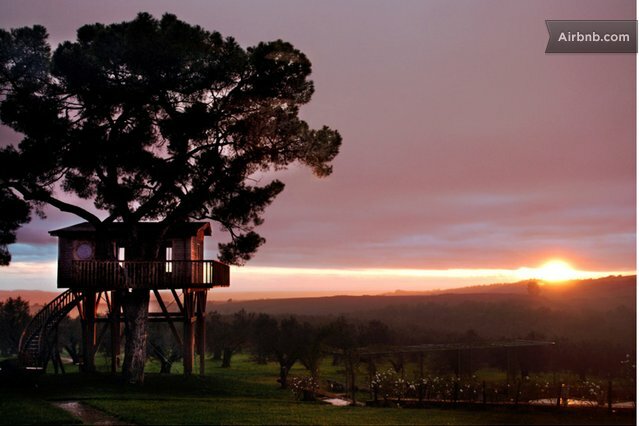 They range in price from 15 to 350 euros, and are located pretty much everywhere you can think of: California, Hawaii, Oregon, Mexico, Costa Rica, Thailand, Italy, Morocco... Something for everyone who's ever wanted to spend the night in the tree tops! 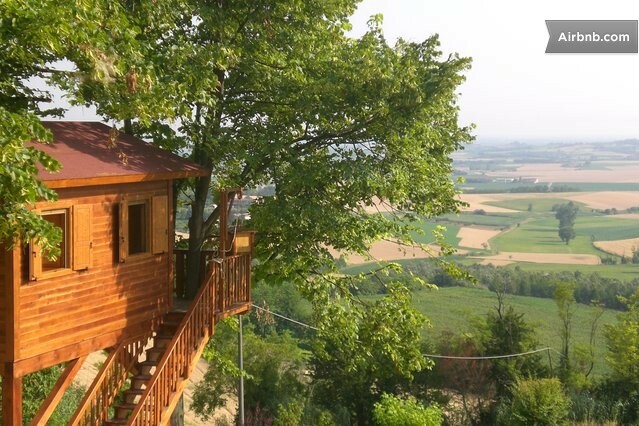 Have you ever stayed at an Airbnb place? 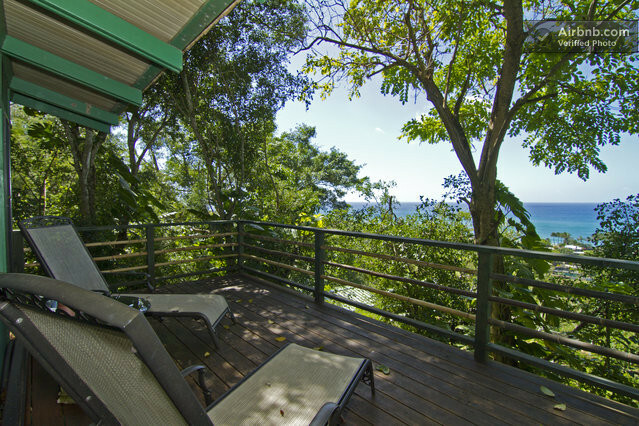 What's your go-to website for vacation planning? 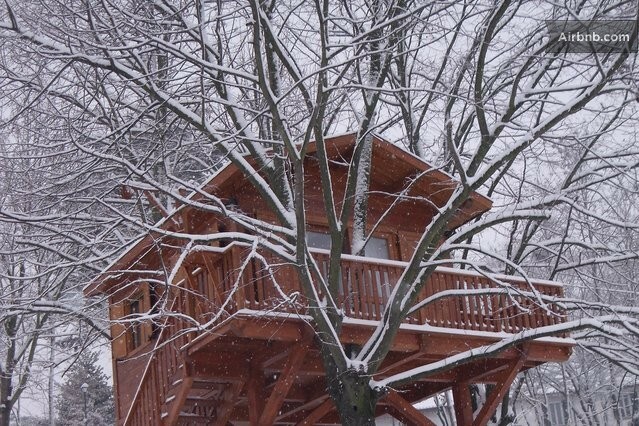 I just got back from Paris, and stayed at a great Airbnb place! It worked out splendidly and I was right in the city. I hope you have a similar experience! If I went back, I would do it over again. You can't beat the prices for the value. Plus, I was in a very safe area, which made me feel better-- some of the value hotels were in some sketchy places. How cool that you did a similar thing at the same time! I was happy with the apartment, but since we were traveling with my grandmother-in-law, I really wished I had asked more questions before booking (ie: how many floors up is it, is there an elevator, are there any odd steps in the apartment...) Live and learn. I think if it had just been my Husband and I we would have been delighted with it, but as it was, we had a positive experience but not quite as positive as it could have been if I'd been a bit more thorough with my research (and/or there'd been a bit more disclosure from the renter). The neighborhood was amazing though! All in all though, I'd do it again for sure. AHHH! So beautiful. 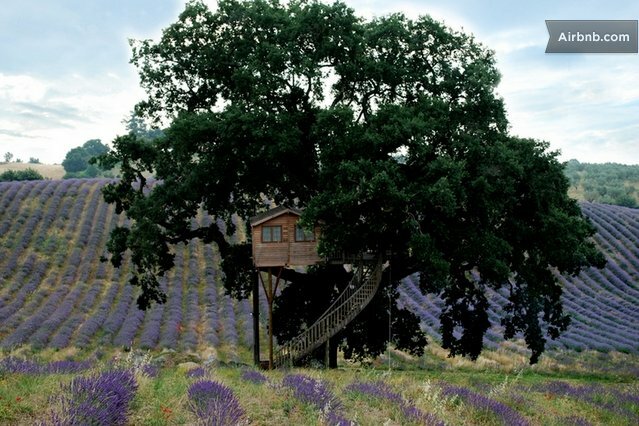 I have a treehouse in my backyard kind of like these, and I would love to stay in one on vacation. I will have to check them out.